One major feature iOS lacks is the ability to quickly launch a specific action within an app; the ability to set a shortcut to call someone, or set a new event in your calendar. With Apple changing how folks access Spotlight in iOS 7, that (former) space to the left of your home screen seems like a nice place to add a neat speed dial function. But until that happens, the iOS faithful can use clever apps like Launch Center Pro, which just received a big update to version 2.0 on Thursday. 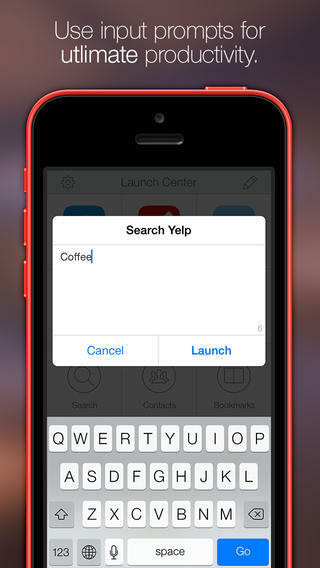 The app basically lets users designate shortcuts to certain functions inside of apps, making it much easier to perform specific actions. 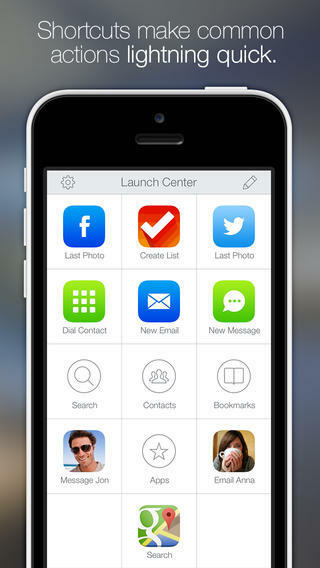 Some sample shortcuts include messaging a friend, emailing a co-worker, calling a significant other, and more. You do have to jump into Launch Center Pro itself due to Apple’s restrictions over iOS, though it still beats jumping through a bunch of menus and screens to get to what you want. Really, you shouldn’t have to jump into your phone app, find your Favorites, and then click on your Mom’s name just to call her. 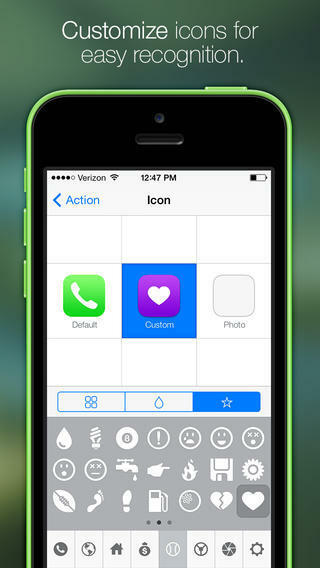 The update itself introduces a new icon, along with a redesigned UI to more closely fit in with iOS 7. Additionally, there are new themes available in settings, allowing you to customize Launch Center Pro exactly how you want it. 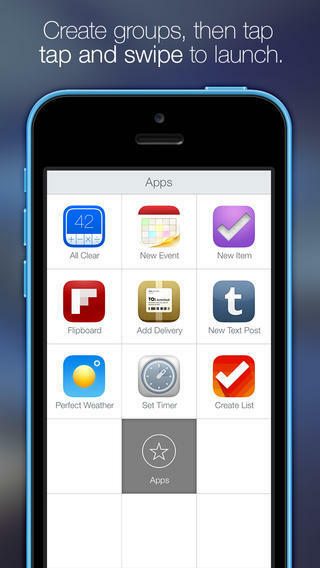 If you’re a power user, chances are the app is already sitting in your iPhone’s dock. If not, now’s as good a time as any to jump into one of the best launchers that should really just be a feature built right into to iOS. You can download it now for $4.99.